For more than a decade, Tongue and Groove have been considered one of the premier live bands in Auckland performing for celebrity occasions, company events, wedding receptions and private parties. Lead singer Zara’s stunning soul-style vocals (Zara was the award winning singer in Deep Obsession), Bruce on sax and vocals, and Stewart on keys, complete the line up. Tongue and Groove perform a wide range of songs to satisfy all age groups, playing only well known songs that everyone loves that range across 5 decades and include some of the most popular songs of today. 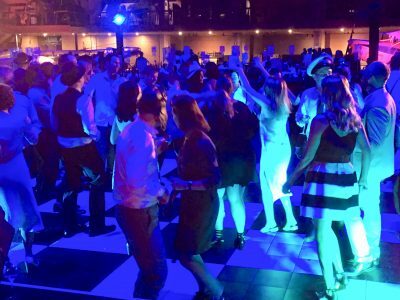 Tongue and Groove are very experienced in choosing the music that will work best to achieve a full dance floor and very adept at reading the audience mood and creating the right cover music mix for their enjoyment. The 3 piece option is recommended for weddings, or if you have a lighter budget. Tongue & Groove always get that dance floor full!